Should We Be Afraid of Alien Contact? Certainly, if you go by the content of most of the science fiction movies and TV shows out there, the answer seems crystal clear–they are going to raid us, enslave us, exterminate us, eat us, hunt us, experiment upon us, and blow us up. In fact, we’d be lucky to last one day as a species should any aliens drop by Earth unexpectedly. Of course, drama needs conflict, and a bunch of hostile aliens is just what you need to spice up a movie or TV show. Reality, thankfully, is likely to be much less dramatic, and I would argue that there are very few reasons for believing that a visiting alien fleet would be hostile toward the people of Earth. To better explain why I think Earth is safe from marauding aliens, here is a list of arguments people commonly make when saying we should be wary of alien visitors, along with my explanations as to why I think they are mistaken. Human beings would be an excellent source of intelligent, disposable slave labor. Hardly. We are intelligent, yes, but we can also be unruly, unreliable, rebellious, and physically, most of us don’t have what it takes to be a good source of forced labor. In short, we would be more trouble than we are worth as slaves, especially when compared to the automated alternatives (robot slaves!) any interstellar-capable civilization is almost certain to have at their disposal. They have come to steal Earth’s resources, and don’t care who or what they destroy to get them. Earth undoubtedly has an abundance of natural resources–if not, we would have had a hard time getting out of the Stone Age–but then, so do many of the other planets and moons in the Solar System, and they don’t have billions of belligerent and highly possessive human beings to get in the way. Now that’s not to say that, when it comes to certain mineral deposits, Earth doesn’t have some that are special, or even unique, like deposits that were created via biological processes–e.g. hydrocarbons, like oil and gas. But the odds of Earth having any unique mineral deposits that are worth crossing light-years or interstellar space to reach (like the mythical “unobtanium”) are vanishingly small. Even fleets that want to use our Solar System as a refueling stop on the way to somewhere else are not likely to need to raid Earth to replenish their supplies. Of course, there is one unique resource that is available in abundance on Earth–life–but it’s hard to imagine why that would be a target for destructive amounts of alien pillaging. Sustainable management and husbandry of Earth’s biological resources would be by far the more logical course of action to aliens with more than a passing interest in the planet. And if it is samples they want, then DNA and tissue samples are far more portable (and robust) than a collection of complete lifeforms. Look at what happened here on Earth when primitive societies came into contact with more advanced ones. The same thing could happen if we encounter a highly advanced ETI civilization. It’s true that the Atzecs, Mayans, and Incas all suffered terribly at the hands of the European Conquistadors. Their cultures were almost completely wiped out in a very short period of time. But we have to remember that all those conquests took place 500 years ago and the world is a very different place these days. Yes, widespread colonialism continued until well into the 20th century, but the era of colonization is well and truly over, and is now looked back on as having been a very bad thing in most cases, and the world has moved on. To see how much has changed, consider for a moment if we discovered the existence of life–any life–on Mars, or Europa within the next few years. Would we go barging in there, tearing the place apart and contaminating everything in our efforts to quickly discover, extract, and exploit this new source of life? Great pains would be taken to avoid disturbing and contaminating the lifeforms while we studied them, and the goal would be to disrupt their environment as little as possible. And given the huge costs involved in getting there, there is almost no chance that a rogue group would get there first and deliberately trample everything underfoot. Even accidental disruption caused by the sudden introduction of highly advanced technology could be mitigated, in much the same way that Star Trek imagined the Prime Directive would operate. 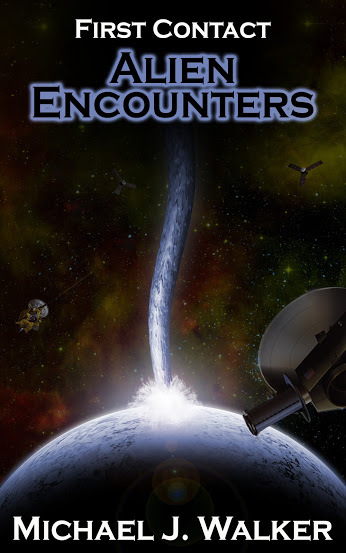 It would seem unlikely that we would be the very first “first contact” made by seasoned ETI travelers, in which case it’s likely they would have protocols in place to ensure they would cause the minimum of disruption. What if the aliens are so different or so advanced that they do not recognize us as sentient beings worthy of their consideration? This is probably the most difficult negative assertion to refute. When it comes to technological, intelligent species, we only have a sample of one–us. Who knows what might motivate ETI civilizations to do the things they do? Perhaps their instincts push them to expand outward across the galaxy driving all other sentient life before them. Maybe their religious beliefs compel them to see all other intelligent life as the work of evil that has to be destroyed. Or perhaps they don’t even notice we’re there as they trample us underfoot. All of these things are possible, but I would argue that none of them is particularly likely, for two important reasons. First, we all share the same Universe. That means we have all evolved under the same basic physical laws and conditions, which means that right from the start, we share a great deal of common heritage. Furthermore, to get to the point where a civilization has the knowledge and capability of traveling between the stars, that civilization must be able to think along the same lines as we do. In other words, all space-faring species are likely to have the same basic view of the Universe, even if they start out millions of light years away from each other. Thus, I would think that it would be extremely unlikely that an ETI capable of visiting Earth from light years away is going to be so alien that they cannot recognize us as intelligent beings that can communicate and reason with them. Secondly, it is unclear to me how a species that is so wrapped up in single-minded fanaticism that they want to spread across interstellar space destroying all before it is capable of evolving to the point where they have the technology, organization and resources to launch such a massively complex and expensive mission in the first place. I guess their fanaticism could have been triggered later on in the process, but notwithstanding the present day examples of fanaticism here on Earth, I find it hard to see how such a thing could develop and then be sustained for long enough and by enough of their species to spread out across the stars. No doubt, someone will be able to poke holes in some of my arguments. If I was writing a thesis to support my position, I would spend a lot more time and effort backing up my reasoning. But this is a only blog, and thus I don’t have months in which to do that! However, if I was to stick my neck out and predict the likelihood that our first encounter with ETIs will be a friendly one (or at least, not an unfriendly one), then I would put it at around 90%, perhaps even higher. Yes, I’m saying that I believe there is a chance of something very bad happening, but I don’t believe it is very likely at all. “Aha!” some would say. Even if there is only a 10% chance of an encounter with hostile aliens, that means we should exercise great caution before exposing ourselves to any possible threats that might be out there. That would seem to be prudent but, as I will argue in a future post, it would be a futile gesture. If there are any hostile ETIs out there looking in our direction, either they know we’re here already, or they will do at some point in the future, no matter what we do. If we find aliens first then we dont have to worry. If they find us first then we are like aboriginals and are in big trouble. If we find the aliens first then we are OK. If the aliens find us first, then we are like aboriginals and are in big trouble. The infinite universe is a vast living energy of god that is a singular force, and not the duality of conflict that we have come to know here on the Earth. These highly intelligent telepathic alien beings are benevolent, as their societies have become a singular force of collective consciousness that has merged with the divine. They have their own planets and do not need ours. The concept of an alien invasion is from our own frames of reference that we have come to know of violence in the human condition. There is only one righteous god, and interstellar travel is only possible by going through god to manifest that miracle that defies conventional explanation. Trust in these alien beings is difficult because we do not trust ourselves yet to fathom the depths of other intelligent life in the universe. Unidentified Flying Objects have characteristics that seem impossible. The scales have finally tipped for the whole of humanity to begin to think as a singular collective consciousness to god. All that was required was the recognition for a miracle: A miracle of change is what we needed, and a miracle is what we received.